What are the emerging flavours and ingredients food and beverage manufacturers should watch in 2018 as they formulate new products, and refresh existing ones? 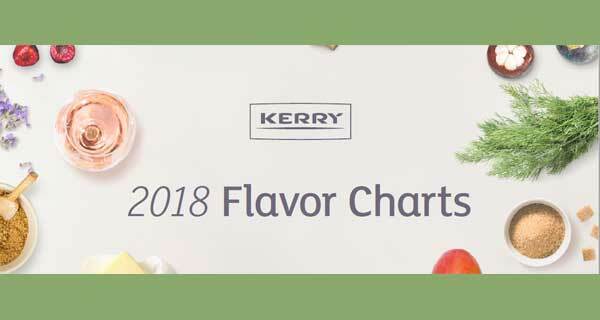 Kerry has put together some charts to help firms explore new possibilities in sweet, savoury, salty snacks, soft drinks, dairy and hot beverages – with an American focus. Based on an analysis of point of sale data, retail product launches and menu penetration in foodservice, the charts represent Kerry’s annual review of the flavour landscape, utilising sales performance, consumer trends, foodservice influences and insights from its culinary experts, said Soumya Nair, Director of Market Insights for Kerry North America. Asian cuisines are primed to take America by storm – along with the flavour blends unique to these cuisines such as Korean Gochujang, Indian Tandoori, Moroccan Za’atar, and Ethiopian Berbere. Hot and Spicy: You can expect to see continued growth of hot and spicy flavours since the sriracha craze has paved the way for new and exotic spices such as Filipino Adobo or Piri Piri. 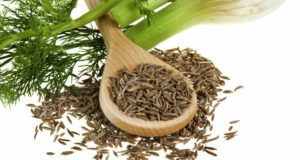 Adaptogens: Additionally… we expect turmeric, ginger, ashwagandha and maca, among others, to experience continued growth in popularity and awareness in both food and beverages. Sweet: Black sesame, oats, wasabi, fennel, sriracha, chamoy, rosehip, dragon fruit, kaffir lime, brown butter, chai, lychee, rosemary, anise, smoke, juniper, chilies (cayenne pepper, habanero, black pepper). Salty Snacks: Garam masala, thai curry, mango, dark chocolate, wasabi, pink peppercorn, coriander, green tomato, salsa verde, ghost pepper, taijin, bourbon, crab, shrimp, porcini mushroom, chai, tamarind, berbere, kimchi, horseradish. Savoury: Galangal, chermoula, zhug, karashi, togarashi, shishito pepper, nuoc cham, gochugaru, furikake, kefir lime, dukkah, bagoong, tzatziki, berbere, tahini, sambal oelek, harissa, black garlic, sumac, tamari. Dairy and Hot Beverages: Tamarind, verbena, smoke, dates, lemongrass, cascara, apricot, rosemary, masala, bilberry, elderberry, dandelion, melon, licorice, black pepper, papaya, oat, chicory, basil, juniper. Beverages (Water and Cold): Rose, jasmine blossom, dandelion, orgeat, rosehip, mangosteen, sumac, persmimmon, celery bitters, rambutan, hibiscus, violet, thyme, ancho chili, rosemary black pepper, habanero, honesysuckle, tamarind. Alternative​: Aquafaba, cauliflower, konjac root, farro, nut milks, coffee flour, acorn flour, teff, tapioca, jackfruit freekah, ghee, plant proteins. Functional​: Moringa, tea leaf, cannabis, maca, spirulina, collagen, mushrooms (reishi, chaga, lions mane cordyceps), hemp, ginger, holy basil, algae, turmeric, ashwaganda, been pollen, ginseng, aloe vera, egg white powder. Ethnic: Fish roe, dashi, kombu, bonito flakes, ube, umeboshi, bamboo shoots, curry leaf, matcha, shiso. Gourmet: Saffron, raclette, salted cured egg yolks, activated charcoal, bottarga, jersualem artichokes, black salt, majambo. Click HERE to download the full charts from Kerry.